The Suma Prepacks Organic Millet 500g product ethics are indicated below. To learn more about these product ethics and to see related products, follow the links below. A lovely alternative to rice. use it for serials, recommend this product to mix with other types of flakes for breakfast mix, quality is great - love organic and it's good value. thank you. 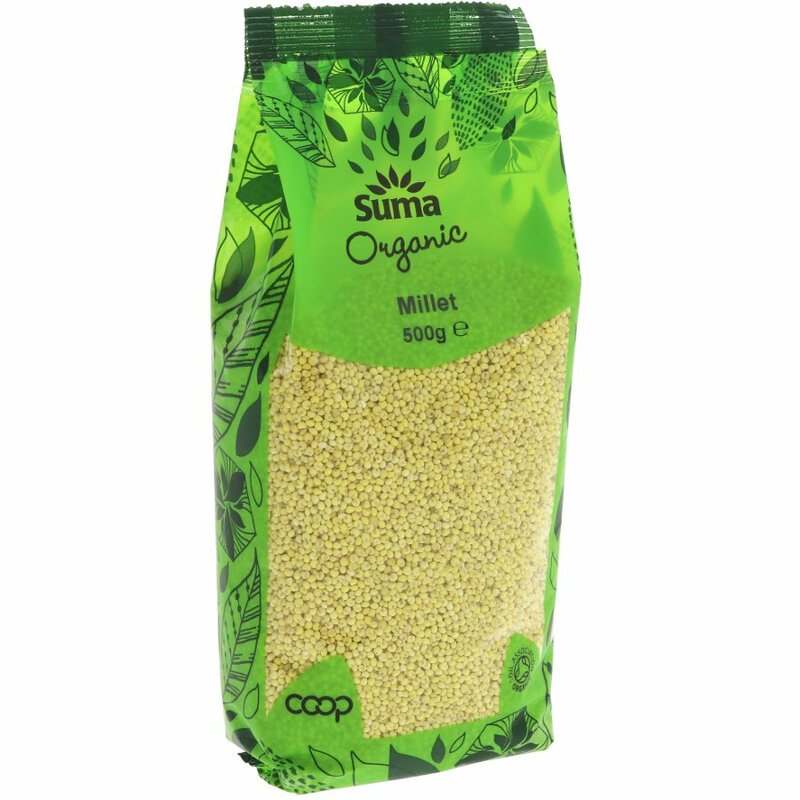 There are currently no questions to display about Suma Prepacks Organic Millet 500g.